I can’t even comprehend the years…and years…of therapy this poor kid’s gonna need. 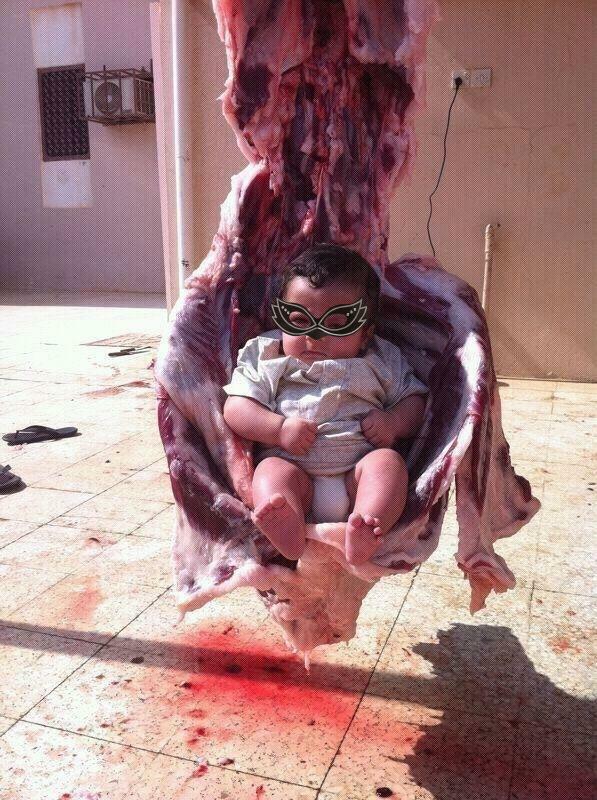 Yes, I put a fake mask on the baby because I couldn’t bear seeing that little face staring at me out of the middle of a hog carcass. For the original, go here. Remember, kids: when nothing else will do, make a fresh carcass work for you.